The Dalmatian is a medium-sized, muscular dog known for its distinctive black-and-white spotted coat. An incredibly active and boisterous dog, the Dalmatian has been famously used as a fire dog, giving it the nickname “Firehouse Dog”. Dalmatian puppies are actually born white and develop spots around the age of 3 weeks old. Spots are usually between 30 and 60 mm in size, though some may be considerably larger or smaller. Though their spots are usually black or brown in colour, rare colours such as brindle, mosaic, tricolour and orange/lemon are also available. 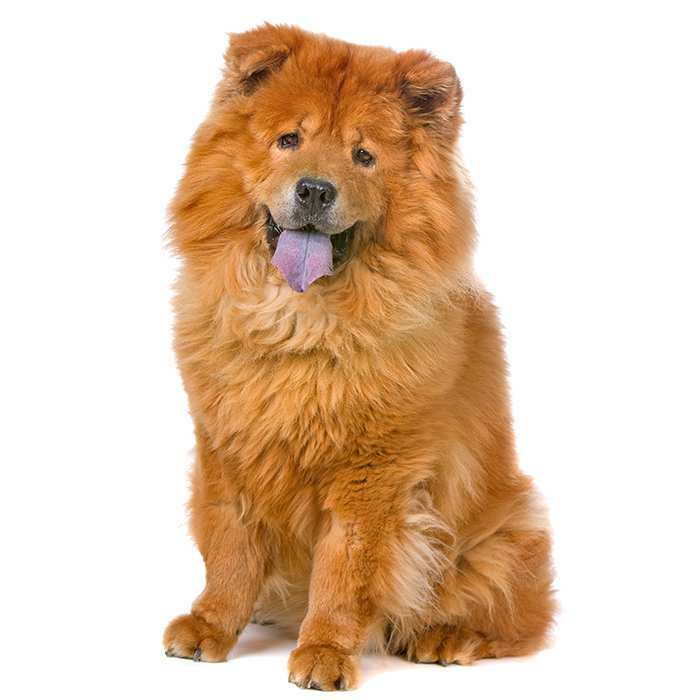 They have a short, fine, smooth yet dense coat which sheds a considerable amount all through the year. 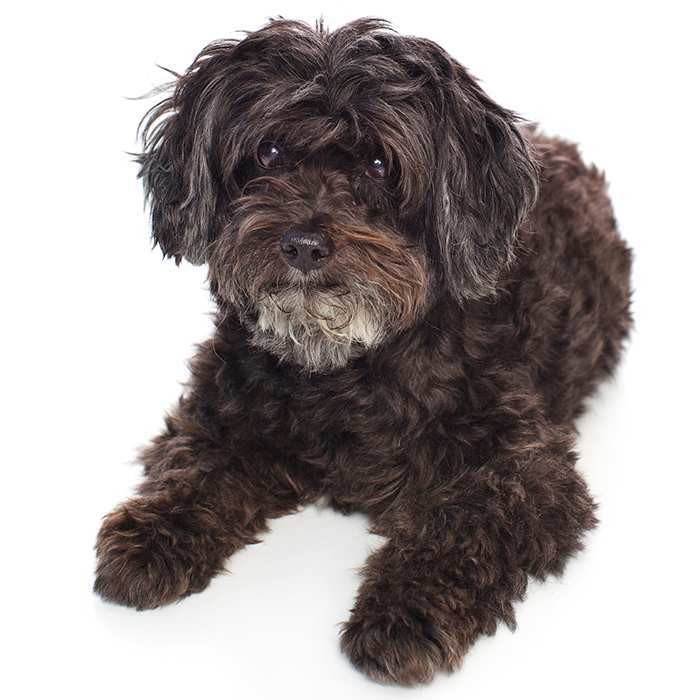 Weekly grooming with a mitt is recommended to minimise shedding and remove dead hair. The average Dalmatian weighs around 23-25kg, with males standing between 50 and 60 cm tall and females 50-55 cm. The life expectancy of a Dalmatian is about 10-13 years. Dalmatians are incredibly energetic dogs, and as such need to be taken on a long, brisk walk or jog every day. Large, safe living areas and backyards are also recommended, since bored, inactive Dalmatians can become destructive. Dalmatians are incredibly playful and happy dogs with barrels full of energy. If they don’t receive adequate mental and physical stimulation, they can become highly strung, develop behavioural issues and may become timid without enough socialisation. If given a firm, consistent leader, the Dalmatian can be very obedient and trainable, and they have above average levels of intelligence. Because of its boisterous and energetic nature, the Dalmatian is not recommended for families with young children. The Dalmatian does best with an owner who is just as energetic as it is. 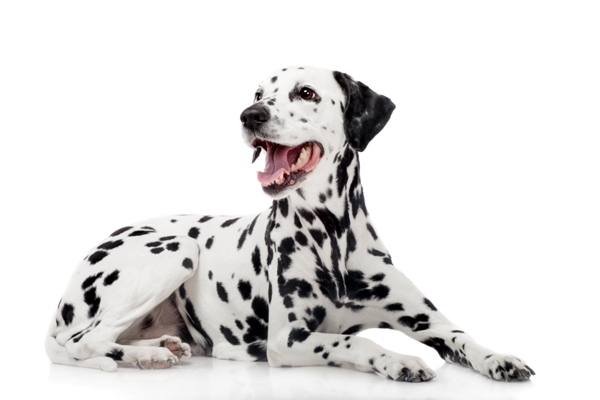 What are the most common health issues for Dalmatians? Hereditary Deafness. 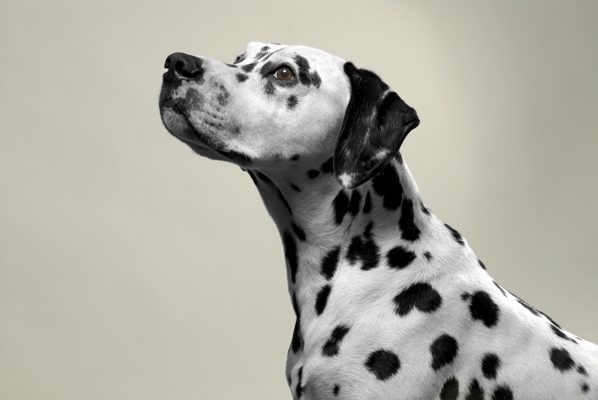 Deafness is a serious problem in Dalmatians, with only about 70% having normal hearing and 8% born completely deaf. It is usually a result of the permanent deterioration of certain organs within the ear that detect sound. 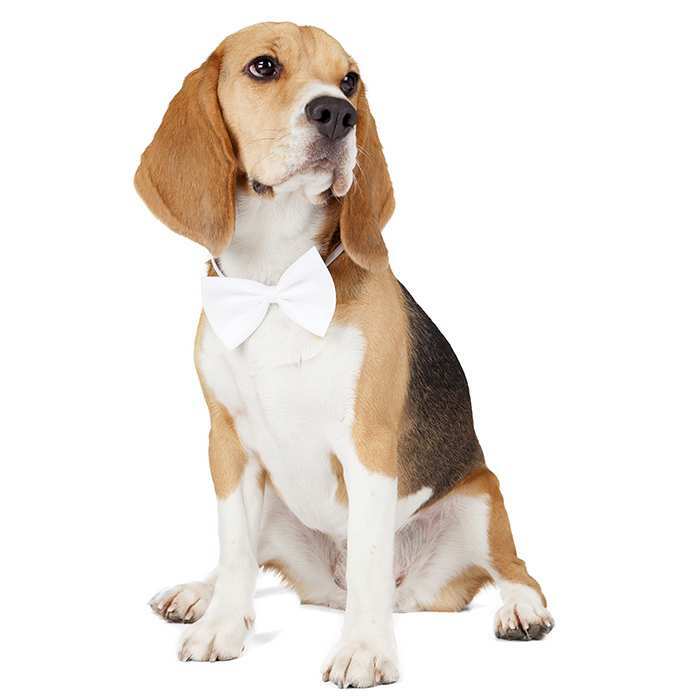 Fortunately, many dogs adapt very well to deafness since they can often feel vibrations and have a very good sense of smell. 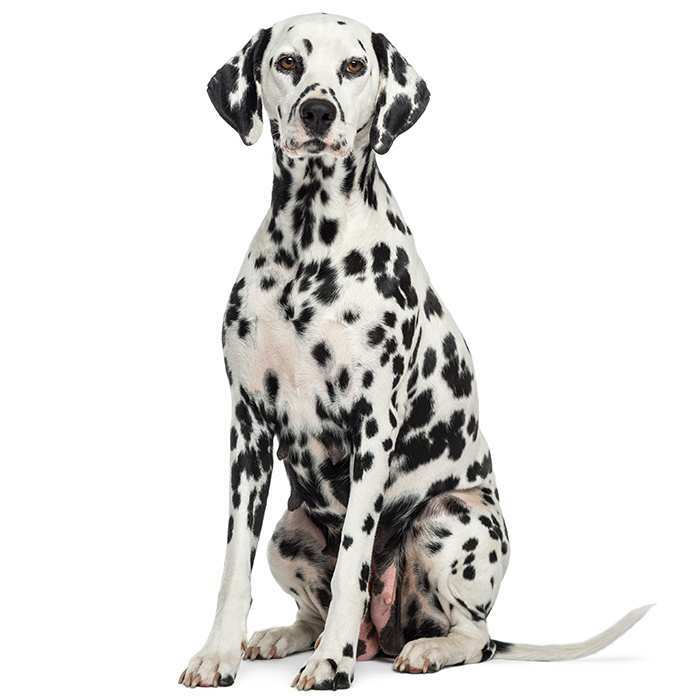 Since in most cases deafness is inherited, Dalmatians should be tested before being bred. Urolithiasis. Dalmatians have a unique urinary tract system which is more likely than that of other breeds to develop stones formed from the salts of uric acid, which lodge themselves in the urethra (though smaller stones may pass with the dog’s urine).  Build-ups of stones can be fatal, so it is important to monitor the condition and provide your Dalmatian with lots of water and a well-rounded diet. You can also ask your vet to check for stones regularly. Skin Allergies.  Dalmatians are prone to skin allergies and may develop rashes or excessive hair loss as a result. Keep an eye out for scratching and general discomfort.  Visiting the vet can bring about a solution, but regular bathing with a hypoallergenic shampoo/conditioner and flea control are good preventative measures. Iris sphincter dysplasia. This is a heritable condition which causes light sensitivity, poor night vision, partial or total blindness and cataracts. Dalmatians are not necessarily predisposed to the condition, though owners should be aware of it. The Dalmatian’s place of origin is a subject of dispute, however it is generally agreed that it came from Croatia. The first depictions of the Dalmatian can be dated back to the early 17th century. Thomas Pennant described the dog in his Synopsis of Quadrupeds and cited its origin as Dalmatia, the region of Croatia from which the breed gets its name. The first (unofficial) breed standard was introduced in 1882 in England, and became official with the establishment of the Dalmatian Club in 1890. In the US, Dalmatians were popularly used as carriage dogs in horse-drawn fire engines. Though not used today, they serve as the mascot of US firehouses, and many firefighters choose Dalmatians as pets in honour of their firehouse past. Dalmatians were first registered in the US in 1888 and the Dalmatian Club of America was established in 1905. 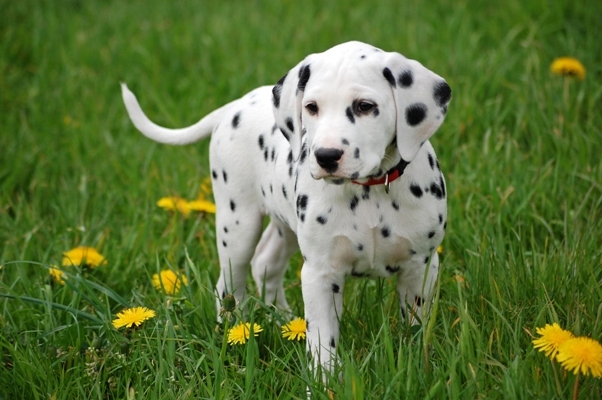 As of 2013, the Dalmatian is the AKC’s 64thmost popular breed of dog. Dalmatians experienced a huge growth in popularity thanks to the 1956 novel The Hundred and One Dalmatians and its Disney film adaptations in 1961 and 1996. Between 2000 and 2010, registration of the breed decreased 90% due to people purchasing Dalmatians as pets (having seen them in the aforementioned films) before educating themselves about the breed and its high energy levels. The Dalmatian may be older than we think. Dogs similar in appearance to the Dalmatian were found in Egyptian tomb engravings. The Duchess of York, Benjamin Franklin, Paula Abdul, Gloria Estefan, Marlon Brando, Michael J. Fox and Pablo Picasso have all owned Dalmatians.